The measure, the Nursing Home Residents’ Quality of Care Initiative (SB 1510, SA #1), is the state’s latest response to complaints about the care elderly residents are receiving. It’s not a new issue. In 2016, the governor of Illinois signed a law allowing families to install electronic monitoring systems in residents’ rooms. At the time, the Illinois Department of Public Health reported receiving approximately 19,000 complaints of abuse and neglect by long-term care facilities each year. The sponsors of the proposed law say the situation hasn’t improved. "It has been both heartbreaking and motivating to me, through my work, to see how devastating it can be for an entire family when a loved one receives inadequate care in a nursing home," said Illinois State Sen. Jacqueline Collins, sponsor of the legislation. Collins’ bill calls for strict enforcement of the state’s minimum staffing requirements, heightened public transparency of nursing home violations, and enhanced safeguards regarding psychotropic medications and a resident’s right to informed consent. "This initiative sets forth some much- needed measures to ensure that no family has to see their loved one suffer unnecessarily in a place where they are supposed to be cared for," Collins said. In 2015, 39 percent of Illinois nursing homes received a low-quality rating from the Centers for Medicaid and Medicare Services. An AARP survey taken this year found 84 percent of Illinois voters supported legislation increasing the quality of nursing home care. "Residents of nursing homes are some of Illinois’ most frail whose care needs have unfortunately adjusted their life’s path to need skilled nursing care 24 hours a day," said Ryan Gruenenfelder, director of Advocacy and Outreach for AARP Illinois. "Residents and their caregivers need to be able to trust nursing homes at a time when they are more vulnerable than they have ever been." A study last year by the University of Illinois at Chicago found differences in the care residents receive at publicly supported nursing homes and those in the for-profit category. 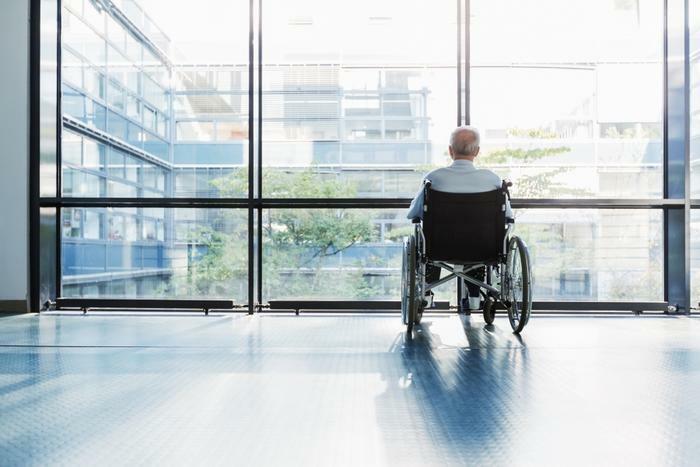 The researchers found that residents of for-profit nursing homes were twice as likely to experience clinical signs of neglect compared with those in not-for-profit residencies. “Those signs of neglect included severe dehydration in clients with feeding tubes which should have been managed, clients with stage three and four bed sores, broken catheters and feeding tubes, and clients whose medication for chronic conditions was not being managed properly,” according to the researchers. While Illinois has had its well-publicized issues with nursing homes, it may well be a national problem. In 2017, the state of Maryland sued a company operating five nursing homes within the state. Regulators claimed that about 1,000 residents were discharged into inadequate care so their places could be taken with higher-paying residents on Medicaid.